Kristoff St. John made his television debut at age 7 in the sit-com series ?That's My Mama?. 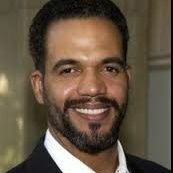 Now, 37 years later, he is one of the stars on CBS-TV's ?The Young and The Restless?, the number one rated drama for the past 22 years on daytime television, playing the popular character of Neil Winters. Kristoff is no stranger to the CBS network, having starred in the series ?Charlie and Company?, with Flip Wilson, Gladys Knight, and Della Reese. He was also a series regular on CBS' ... See More ?The Bad News Bears.? Kristoff also starred in the Spelling Series, ?The San Pedro Beach Bums?. As a child and young adult, Kristoff worked with legendary entertainers such as Richard Pryor, Tony Orlando, Diahann Carroll, Jack Warden, James Earl Jones, Bill Cosby, Flip Wilson, Smokey Robinson, Irene Cara, Gladys Knight, Farrah Fawcett, Jon Voight, and had the distinction of playing the title role of Young Alex Haley in ?Roots 2?, for which he won a ‘Youth in Film' award. Kristoff stops by on Monday, November 19, at 9pm EST to chat about his successful career.